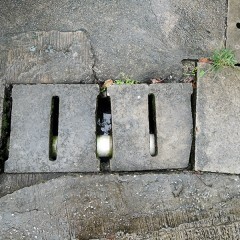 Due to the fact that Pok Fu Lam village is not connected to the public sewage system, a lot of their pipelines have to be installed above ground as an addition to make sure that their sewage is transferred safely into the river, unlike other parts of Hong Kong where the pipes are hidden underneath the ground. 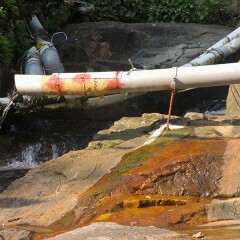 Therefore it is quite clear that from looking at the images, most of the pipes were installed after the village was established. 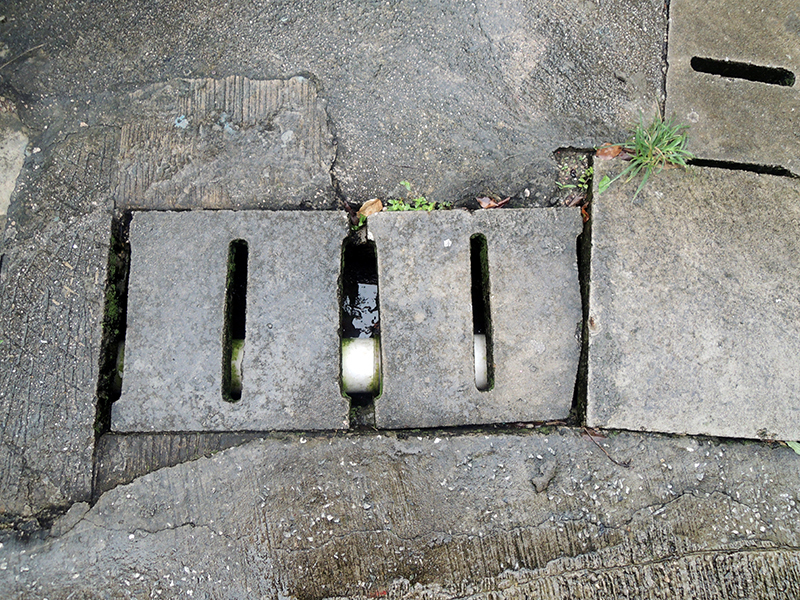 As for how the plastic sewage pipes are connected to the ground, concrete is usually used to secure the pipes in place to prevent it from moving and breaking. 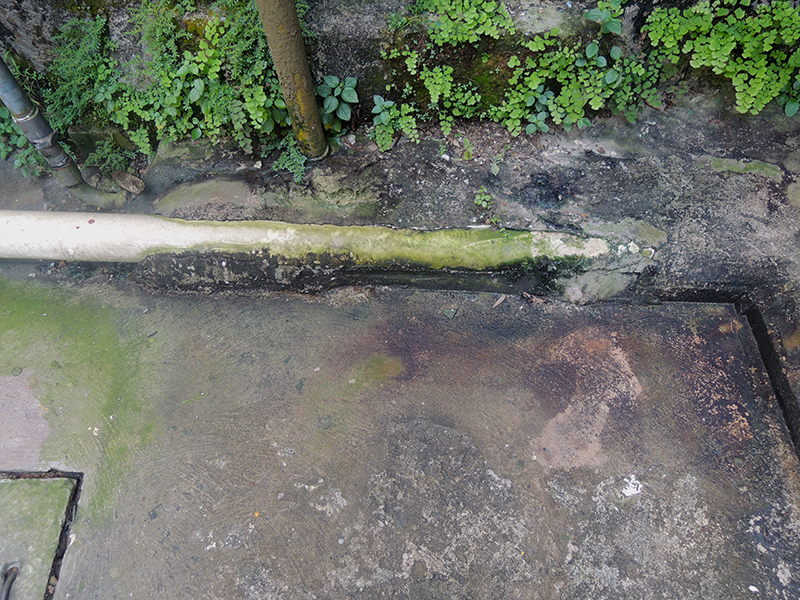 Another reason why the pipes might need to be partially covered in concrete is to create a smoother surface for when trolleys are used to manoeuvre things around the unpredictable paths within the village. 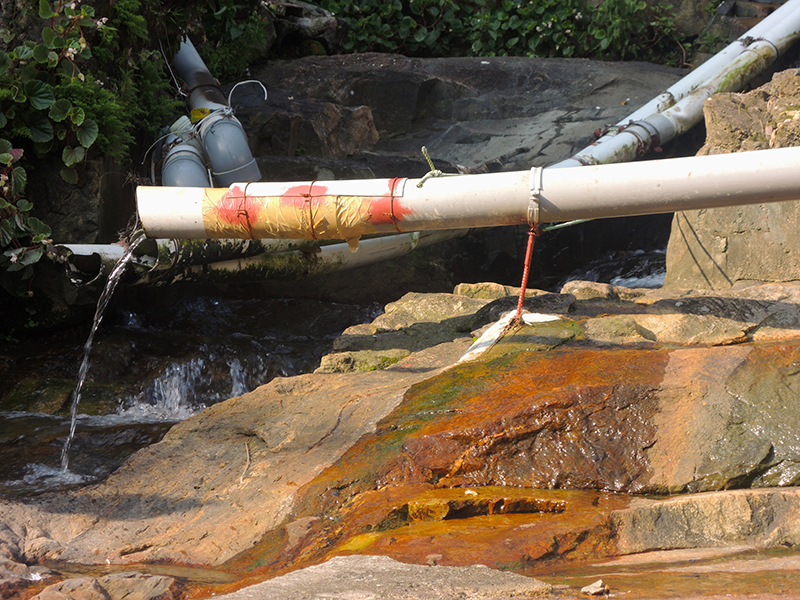 Other ways in which these plastic pipes may be attached to the ground may be using simple metal structures to support the pipe that eventually transports the sewage into the river. 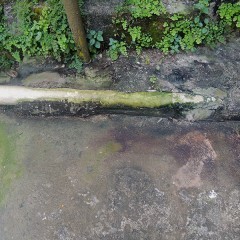 While other pipes may be tucked under drains to prevent the blockage of pathways and to minimise the chances of intervening the human circulation. Do you think these vast amounts of pipelines are visually unattractive to the human eye?